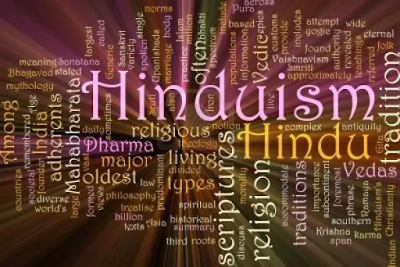 Law Web: How to prove that particular person was converted in to Hindu Religion? How to prove that particular person was converted in to Hindu Religion? 8. In Goona Durgaprasada Rao and another v. Goona Sudarasanaswami and others MANU/TN/0295/1939 : I.L.R. Mad. 653 Mockett, J., observed that no gesture or declaration may change a man's religion, but when on the facts it appears that a man did change his religion and was accepted by his co- religionists as having changed his religion and lived and died in that religion, absence of some formality cannot negative what is an actual fact.Krishnaswami Ayyangar, J., observed that a Hindu who had converted himself to the Christian faith returned to Hinduism and contracted a second marriage during the lifetime of his first wife and remained and died a Hindu having been accepted as such by the community and co-religionists without demur. Absence of evidence of rituals relating to conversion cannot justify the Court in treating him as having remained a Christian. 19. No doubt, from the above expression, no particular ceremony is required and bona fide intention to convert is enough followed by faith and belief in Hinduism for the respondent besides being accepted by the local Hindu community and treatment of him as Hindu to say that he has converted. Here that evidence is lacking, apart from his say of not any bonafide intention to convert, but for unwillingly and only to marry the petitioner for a condition stated imposed of conversion to fulfill and not even stated lived as Hindu. Thus, at the cost of repetition from what was discussed earlier, when his version is he was as fell in love with her, made to convert as Hindu by adoption to a Hindu family by made to convert; there from there was no voluntary conversion apart from no adoption validly taken place and there was nothing to show any alleged conversion of him besides voluntary with any faith in Hinduism which is the religion of the petitioner, to validate any ceremonies of marriage, not even adduced any evidence of he was accepted as a Hindu by the neighbourhood and the community of Hindus nearby and observing any faith in Hinduism without which there is no valid conversion is the law laid down in Perumal Nadar (supra) and there is no valid conversion from Muslim religion to Hindu religion, the very marriage itself is void ab initio for he is not a Hindu by the time of marriage, and it is a material fact or circumstance relating to him as per Section 12(1)(c) of the H.M. Act to annul the marriage otherwise as per the expression of the Apex Court in Gullapalli Sowria Raj (supra).